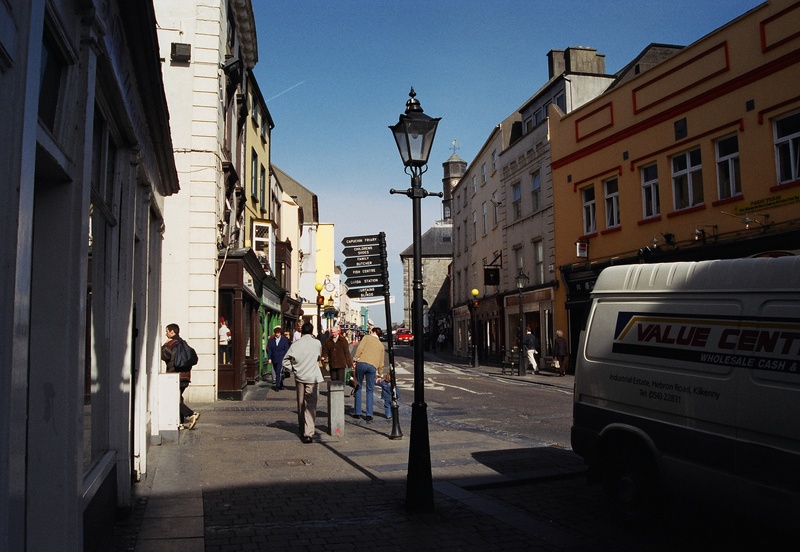 A street in the lovely Irish city of Kilkenny, home of Smithwick’s Irish Ale. What could be more appropriate as St. Patrick’s Day approaches? Why, oh, why do we ‘Merkins think it is appropriate to celebrate St. Patrick’s Day by dyeing beer green? Beer comes in many colors, from the very dark brown of porter and stout to the very light gold of a pale ale. But not green. No, nay, never! No green beer for me. Ever!